When you only have a few months to plan what’s likely the biggest event of your life, it can be easy to feel like you’ve got the whole world on your shoulders. From venues and catering to decor and entertainment, there are so many things to get on top of to make your day go right. So, how do you do it all while keeping your sanity in check? Read on to find out. The planning process is stressful in and of itself; add social obligations to the mix and you’ll wonder how you’ll ever get anything done. It’s normal to want—or even feel obligated—to spend time with family coming in from out of town, or your bridesmaids that are traveling miles just to see you, but you also need to know when enough is enough. After all, asking for some alone time will come across far better than reaching a breaking point and saying something you shouldn’t. So what do you do when you have your alone time? It’s simple: do something you enjoy. Read a book, catch up on your favorite Netflix series, go to the spa, whatever helps you keep your sanity in check. Taking one day off will work wonders for alleviating stress tied to wedding planning; you’ll come back feeling fresher and more rejuvenated. Ironically, couples often forget to spend quality time with each other once planning gets underway. In fact, according to a recent survey by Zola, 43 percent of couples admit that planning put a strain on their relationship. But don’t forget the very reason why you’re doing all the prep in the first place! Nurture that relationship by spending time alone with your significant other. You might even find them to be the best therapist since they likely understand what you’re going through better than anyone else. When it comes to wedding planning, one of the biggest areas of contention is how much money is being spent. Perhaps you’ve had your eyes set on some extravagant venue since day one, or perhaps there’s a 5-piece band that you can’t imagine your reception without. Well, as nice as all of those things are, they come at a lofty price tag; one that may have you feeling a bit reluctant about spending so lavishly. It’s important to realize where exactly to draw the line. Your wedding budget will be the biggest indicator of where that line is. Therefore, abiding by your budget is the surest way to reduce spending apprehension. To create more room in your budget, there are also alternatives to building your savings rapidly and at no cost. You wouldn’t feel your best if you weren’t eating and sleeping right on a normal day, and you certainly wouldn’t feel your best if you aren’t whilst wedding planning. As simple as it sounds—and yet, as difficult as it can be to pull off—you need to be getting the full 7-8 hours of sleep per night and maintaining a proper diet for your mind and body to function optimally. During moments of stress, many people turn to food for comfort. However, forming a habit out of this will end up costing you in the long run. To make matters worse, junk food can also increase feelings of irritation, reduce energy levels, and impair cognitive function. So, as the old saying goes, eat an apple a day to keep bridezilla at bay! You might have known exactly what type of wedding you wanted since childhood. Or perhaps you haven’t even thought of your wedding until the moment you said, “I do.” Regardless of your starting point, don’t try to be a Jack, or in this case, a Jackie of all trades (terrible joke, I know). Sometimes, delegating responsibilities to a bridesmaid with more experience, a family member, or even an expert can be an instant cure for your stress. A wedding planner is a great example of this. By hiring one, you can relax knowing that most of the calling and booking will be done for you. Looking for a more affordable option? 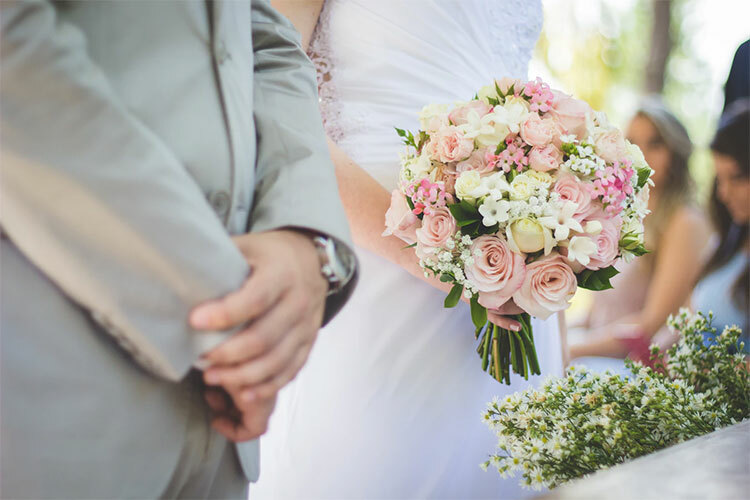 A wedding coordinator will work with the venue and vendors you’ve already booked to make sure your wedding ceremony goes to plan, so you can focus on what matters most: enjoying your big day! Boulder, Colorado has been called the “Happiest City in America” by National Geographic – and it’s easy to see why. 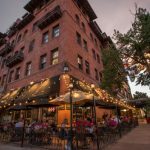 At the foot of the Rocky Mountains and surrounded by breathtaking scenery, this university town offers the best of both worlds – exciting nightlife, a vibrant arts scene and ski slopes only 30 minutes away. 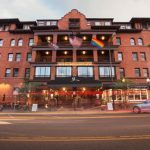 For a wedding of up to 275 people, you won’t find a better place to get married in Boulder than the gracious historic Hotel Boulderado. 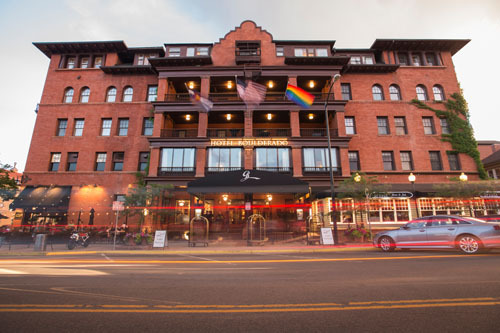 The hotel is at the center of everything, one block from Pearl Street Mall, the city’s downtown hub for fun. They offer a slice of history, with a sweeping cherry wood staircase and a stunning stained glass ceiling. 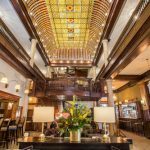 Many couples choose to get married on the mezzanine overlooking the opulent lobby, which retains the original mosaic floor and attendant-operated Otis elevator. 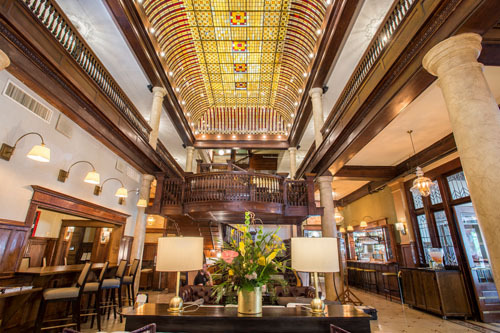 Even though the hotel is on the National Registry of Historic places and preserves every ounce of Victorian elegance, it’s completely updated (they won an award for recent renovations), so you can enjoy the old world ambiance without sacrificing your taste for contemporary luxury. Arrive in style in the hotel’s Rolls Royce Silver Shadow. The Rolls and a Mercedes van are also available to take your guests sightseeing within a 3-mile radius of the hotel. The honeymoon suite is included with all wedding packages, but for your guests, the hotel has 160 rooms. Some have charming turn-of-the-century decor, while others in a newer wing have “Mountain Modern” appointments. All of the rooms have the latest amenities, complimentary Wifi, Aveda toiletries and great views. If you want to be more private, there is also a meticulously restored 1900s carriage house across the street that sleeps 15. One of the major highlights is the food. 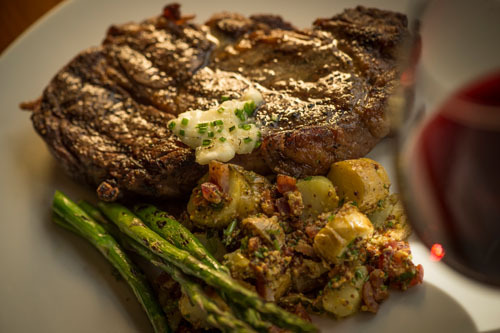 Their cuisine is unpretentious and fresh, featuring regional, seasonal ingredients. There are two restaurants onsite, a speakeasy style bar on the lower level, and a coffee bar in the lobby. 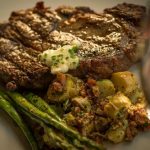 Their signature restaurant, Spruce Farm & Fish, is unfussy, offering creative versions of traditional dishes. 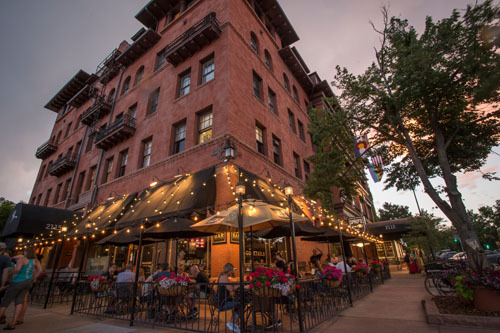 The Corner Bar, their casual restaurant, is open 365 days of the year from 11 a.m. to midnight. Atmospheric License No. 1 bar specializes in drinks from the Prohibition era and has a pool table, dual dartboards, a jukebox, and a photo booth. There is ample seating in the lobby and Boxcar Coffee switches to small bites at Happy Hour, making it a relaxing communal space for hanging out. 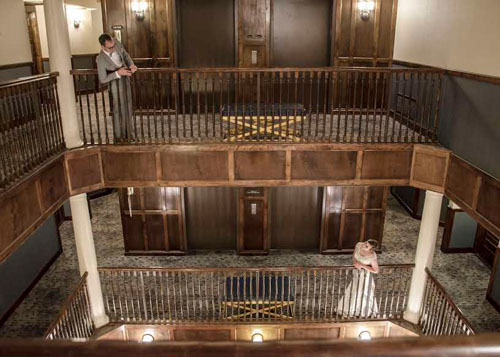 As you whirl around the ballroom for your first dance, imagine all of the fabulous parties Hotel Boulderado has thrown since that first gala they held to introduce the hotel to the world on December 31st, 1908. 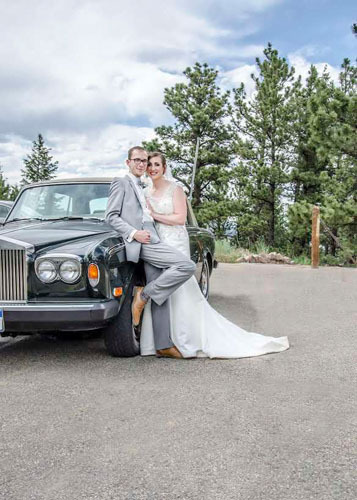 Call the Hotel Boulderado Sales Department at (303) 440-2880 to learn more about their customizable wedding packages. Surprise! Taylor Swift Crashes NJ Couple’s Wedding! Have you ever been to a wedding and notice an unfamiliar person (or people) that nobody knows? Or just seems out of place? They’re generally referred to as “crashers.” While many might crash weddings just for the thrill, one recent wedding crasher provided a thrill of her own. Singer Taylor Swift surprised one New Jersey couple during their reception. The groom’s mother had been terminally ill, and Max Singer and Kenya Smith were legally wed at her bedside in April so she wouldn’t miss the moment. After exchanging vows, they had their first dance to Swift’s “Blank Space,” the groom’s favorite song. Unfortunately Max’s mom passed, but everyone had a special moment to cherish. And then along came Taylor Swift! It turns out that the groom’s sister, Ali, wrote to Ms. Swift about the death of her and Max’s mother. After a month long correspondence, plans were made for the singer to show up during the reception. 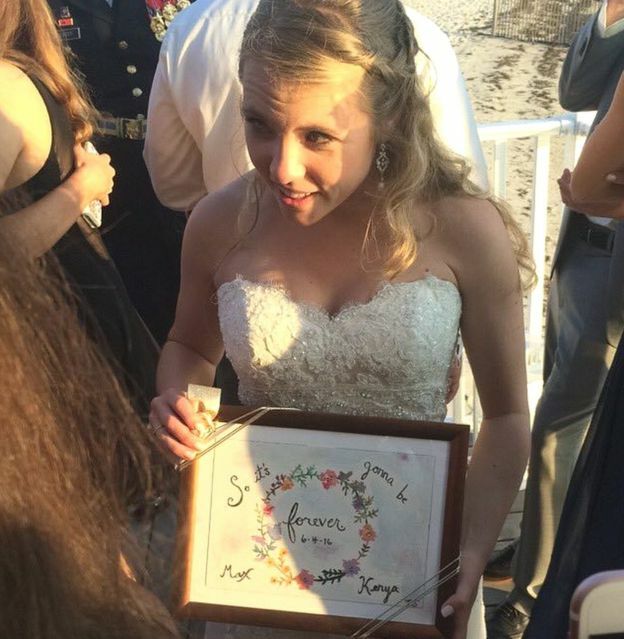 She performed “Blank Space,” posed for pictures, and even presented the newlyweds with a hand painted card featuring her lyrics – so it’s gonna be forever. Third wheel or not, Taylor made a swift move with her New Jersey wedding crash. Many years from now, probably around a campfire or over a bottle of wine, someone will ask – remember when Taylor Swift crashed the wedding? At the very least, it’s a part of the wedding everyone will remember. Looking absolutely fabulous on your wedding goes without saying. From the perfect hairstyle to having a picture perfect face. Although you probably have things all mapped out. Here are some beauty tips provided by Real Simple to take along with you while you prepare for your big day. It’s totally normal to have the wedding jitters. Being newly engaged and partaking in wedding planning activities can be overwhelming. But, you’re not alone. The Knot’s article Newly Engaged and Completely Overwhelmed? provides you with a few simple tips on how to keep things under control. Every part of the wedding planning process doesn’t have to be overly expensive. If you’re looking to save a few pennies, why not start with the honeymoon? Check out The Knot’s article listing 5 fantastic honeymoon destinations that will cost you under $2,500. 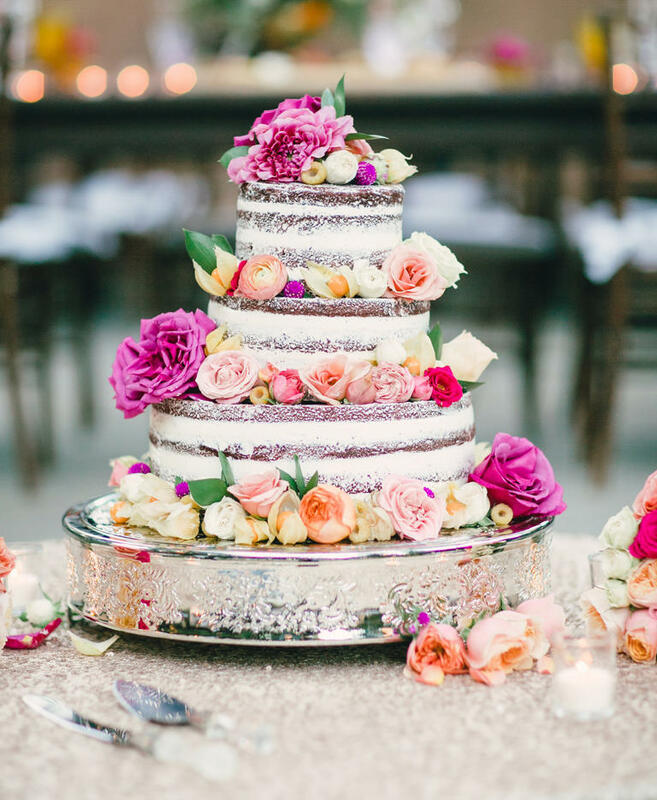 Finding the perfect wedding cake is a super sweet experience. 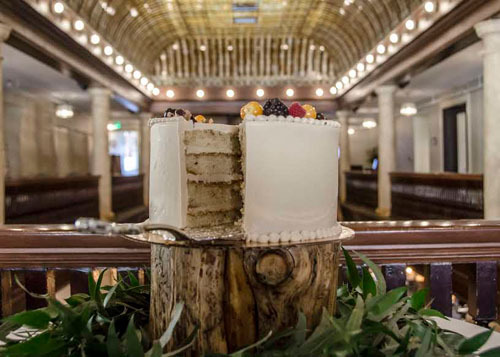 It is becoming ever so popular for brides to choose a more unique, and less traditional cake for their special day. 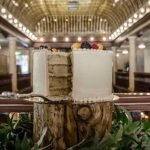 The Knot’s article 10 Naked Cakes You Have to See is sharing some sweet wedding cake ideas that are sure to win you over. Are You Worried About Weather on Your Wedding Day? A bride’s worst nightmare is having horrible weather on her special day. It’s just that one variable that you can’t control despite how well you’ve planned. But don’t let a little rain spoil your big day. 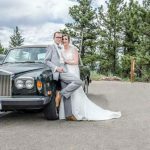 How to Weather Proof Your Wedding provides you with useful ideas on how to make your wedding day spectacular whether it’s rain, snow, or even humid sticky heat. This weekend! 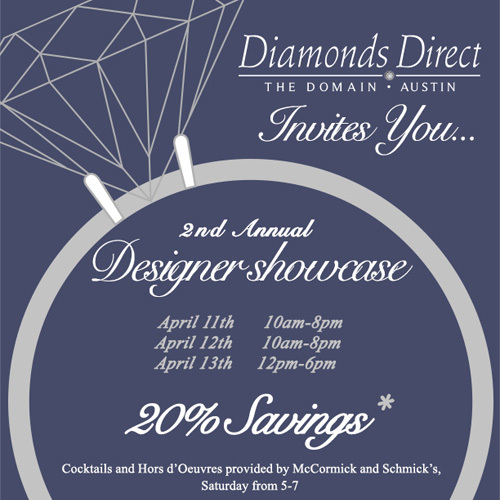 Austin area brides and grooms-to-be can browse all of Novell’s bestselling wedding bands at the Diamonds Direct 2nd Annual Jewelry Showcase. Saturday evening shoppers will be treated to hors d’oeuvres and cocktails provided by McCormick and Schmick’s (from 5-7PM). This special wedding jewelry event takes place on Friday, April 11 (10AM – 8PM), Saturday, April 12 (10AM – 8PM) and Sunday, April 13 (12 – 6PM).